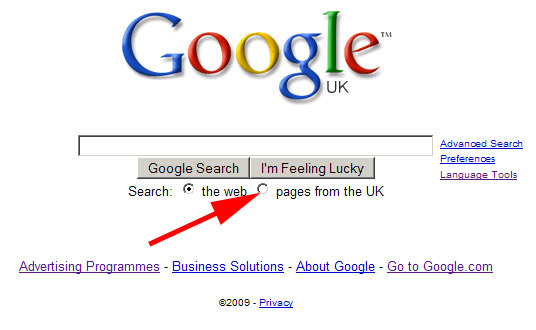 ← Google pushing chrome on UK IE users!! Take a look at a few of these postsÂ http://www.seroundtable.com/archives/020175.html andÂ http://www.ppcblog.co.uk/google/big-geo-problems-still-exist-in-google-uk-serps plus many others.. So the serps are bad already.. yes we agree on the … but google are testing a new UI in chrome only “so far”..
Ok you might not think it “to bad” but one major thing is the serps..
As the radio button has gone google have replace it with “Show only results for United Kingdom” text link… This in a way take up more space and “could” help the uk serps out BUT not all serps haveÂ “Show only results for United Kingdom” at the top.. The screen shot below shows theÂ “Show only results for United Kingdom” link at the bottom of a google.co.uk serp! This entry was posted in google, google UI tests, UK and tagged chrome, google, google.co.uk, serps, UI change, UK. Bookmark the permalink. with their SERPS claims, most were not even aware they had an issue. 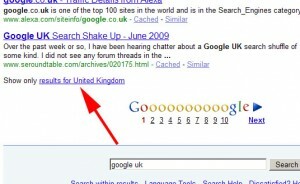 Thanks for the UK SERPS little piece of info. You guys impressed me talking about the insights of UK SERPs. Actually UK SERPS always very competitive. Thanks for the screenshot. Keep it up! This is too much uk serps helpful direction I can use. 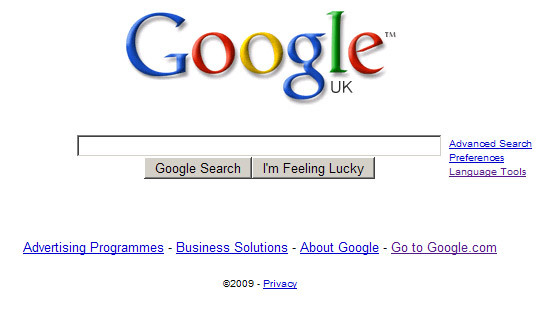 Well.. Just now google have changed the UI on google.co.uk serps … Keep it up. This special job furnishes the parts desired in order to construct the FM TRANSMITTER with the support of a functioning consistency of 89MHz to 109MHz. All you need is a receiver that assists in getting the signals from the transmitter. And, a normal radio stations that is tuned into FM variety would be actually ready to obtain the signal. A influx that is actually often modulated is actually a influx along with a stabile amplitude as well as rapid consistency that keeps on fluctuating routinely. Thus, this is all concerning designing an electronic venture on creating 0.5W FM TRANSMITTER. If one want to receive within the depth concerning this specific project, at that point there are various websites which might supply a more detailed description concerning the same. Brilliant editorial! About UK SEPRs whatever input here seems to me very complicated reading. I’m really interested to read that hugr impressive bit. Thanks! Such a talented exposed! Here you wrote something very special theory UK SEPRs indeed. Keep it up though. Thanks! 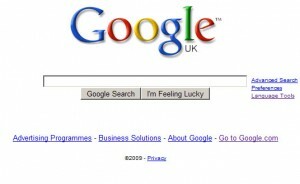 Really great info about Google.co.uk. I would like to say thanks for input very smart conception though. Thanks for published!